SuparTipstar’s UFC Best Bet record to date is 13-33, +9.14u for an ROI of 17.88%. The focus of my best bet tonight is the welterweight fight between Diego Sanchez and Mickey Gall. At no point in the last eight years would I have ever really considered betting on Diego Sanchez, so we’ll call this one overdue. As shop-worn as Diego is, he is still a rounded veteran with a hell of a lot of heart and while he can’t compete with any top guys anymore, you probably at least need to be UFC base level to give him a fight. I’m not yet convinced Mickey actually belongs in the UFC. His record is kind of hilarious to look at. He’s the younger guy and the better athlete I don’t put a whole lot else in his favour. Maybe he doesn’t need it, and Diego is that bad these days, but I can see a fight where Diego wrestles Gall, Gall gets fatigued and breaks while Diego never stops. Diego hasn’t finished anyone in probably a decade, but I think this is the best chance he is going to see to get one, against a guy who is raw and unproven in my eyes. 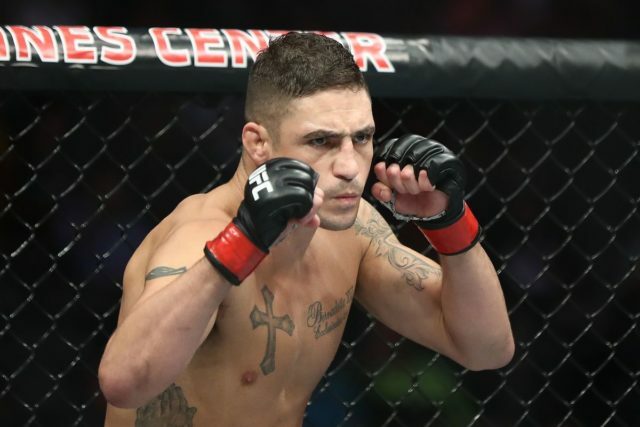 My best bet for UFC 235 is Diego Sanchez by submission @ 17.0, +1600 (WilliamHill). This is a 1u bet.